A vibrant young talent, Elizabeth Stannard is fast becoming a major young voice of her generation. She obtained her Bachelor of Music Honours in 1997 from the Victorian College of the Arts / University of Melbourne. During this period she was also a member of the Victoria State Opera from 1994 to 1997. From 1997 to 2002 she was a full-time company member of Opera Australia taking part in over 200 performances. Elizabeth's major engagements with OA included Liu in Puccini's Turandot with Michael Sylvester and Leona Mitchell, Alice Ford in Verdi's Falstaff with Brynn Terfel (covering Yvonne Kenny), Musetta in Puccini's La Boheme, Leila in Bizet's Pearl Fishers under Maestro Richard Bonynge, Nella in Puccini's Gianni Schicchi, First Lady in Mozart's Magic Flute and the 'Wagner Spectacular' conducted by Simone Young as well as many other performances. In 2003 Elizabeth studied in New York with German specialist Joshua Hecht. During this period she also performed in recital in Italy and the United Kingdom with the London National Symphony Orchestra. In 2004 Elizabeth commenced engagements with the Canadian Opera Company performing the role of Ortlinde in Wagner’s Die Walküre and understudying Brünnhilde. She also performed the role of Gerhilde and understudied Brünnhilde for the State Opera of South Australia’s Australian premiere of Wagner’s Ring cycle under Maestro Asher Fisch. 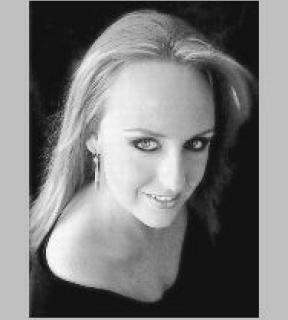 In 2005 Elizabeth understudied at the Canadian Opera Company in their productions of Puccini’s La Boheme (Mimi) and Wagner’s Siegfried (Brünnhilde). In 2006 she took part in their full production of Wagner’s Ring cycle to mark the opening of the Four Seasons Centre for the Performing Arts. She performed the role of Ortlinde in Die Walküre and understudied Brünnhilde. In 2007–2008 Elizabeth continued her vocal studies in London with the renowned Guildhall School of Music and Drama specialist, Janice Chapman A.U.A., O.A.M. and performed at the Festival Internazionale della Musica: Linari in Tuscany, Italy. Elizabeth features on the Melba Recordings’ CD release of Wagner’s Der Ring des Nibelungen with Maestro Asher Fisch. Goran Forsling from MUSICWEB International stating that ‘Elizabeth Stannard’s Gerhilde displays a glorious voice’. In 2009 Elizabeth returned to the Canadian Opera Company to take part in their production of Fidelo (Leonore) and in 2009 she will make her debut in the role of Ariadne in Ariadne auf Naxos with the Victorian Opera.